Our goal is to provide you with the most hassle-free, straightforward, and honest path through taxes and investing. Our AFSP-Credentialed preparers and Enrolled Agents will help you through new law changes and look for tax saving opportunities in your specific situation when preparing your Federal and State tax returns. We prepare amended returns, those for prior years and for all states that have an income tax. Erb Financial primarily services Sole Proprietors (“DBA’s” and Single Member LLCs) in many trades, including Real Estate, Retail, Sales, Building Trades, and Income Properties. If you own rental property, multiple business interests, or even a sideline endeavor, we can help you find all the deductions and credits you are allowed. If you have a problem, inquiry, or audit with the Internal Revenue Service or State Taxing Authority, our specialists can stand up for you and deal directly with the authorities. Not only will we write the letters, make the phone calls, and meet with Revenue Agents on your behalf, we’ll make sure you receive the fairest treatment the law allows. We will meet face-to-face with you to create and maintain a diversified, cost-effective, tax-efficient portfolio to meet your long-term financial goals. We are not active traders of stocks. Our understanding of the concepts and specifics of income taxation makes a real difference. We are primarily fee-based advisors with a fiduciary responsibility to our clients. We design and implement practical plans to create a stream of retirement income from your accumulated assets. We match your unique circumstances and goals with a customized investment and risk management strategy. We regularly meet face-to-face to develop and maintain your customized retirement plan. If you are changing jobs, planning to retire, paying for college, or anticipating any significant change in your income, we can help. From W-4 calculations to retirement decisions, we will help you with tax issues before it’s too late to do anything about them. We are available year-round and are not a seasonal shop. How much insurance do you need? That’s a great question! From basic term insurance to long-term care insurance, we will look at your specific situation and find the most effective and cost-efficient insurance to fit your needs. Roth IRA or Traditional IRA? We will help you find the most beneficial IRA to fit your situation, looking not only at the tax benefits and limitations, but also at your investment choices. We’ll help you understand all of your options and suggest what makes the most sense for you. Retiring? Leaving your job and starting a new one? Unhappy with your current retirement fund? Our licensed professionals will help you with your 401k or IRA rollover to make sure you avoid tax surprises AND find the best placement for your retirement funds. Roots at ERB FINANCIAL go back to 1953, when founder Bill Erb began preparing income taxes for neighbors, co-workers, and family members. 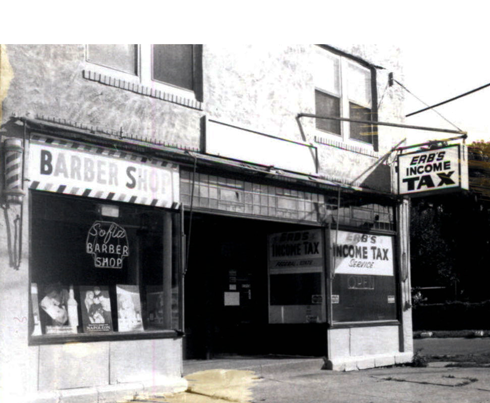 ‘Erb’s Income Tax’ grew out of that initial experience, at one time operating six locations throughout the Rochester, NY area. A lot has happened since the 50’s. Insurance and investment products were introduced in the ‘60’s and 70’s as people sought financial advice and counsel. Erb’s Income Tax became Erb Financial in 2000 to reflect our wider focus. Several office locations were eventually consolidated in 2009 to our current single location in the town of Gates, NY. Erb Financial employs 25 individuals to provide in-depth services through the busy tax season and beyond. Most of our investment representatives and tax preparers have been with us for well over 20 years.